The Pearl Latex features Sealy's PostureTech 660 spring system and 40mm of innergetic latex to provide you ultimate comfort from your bed. 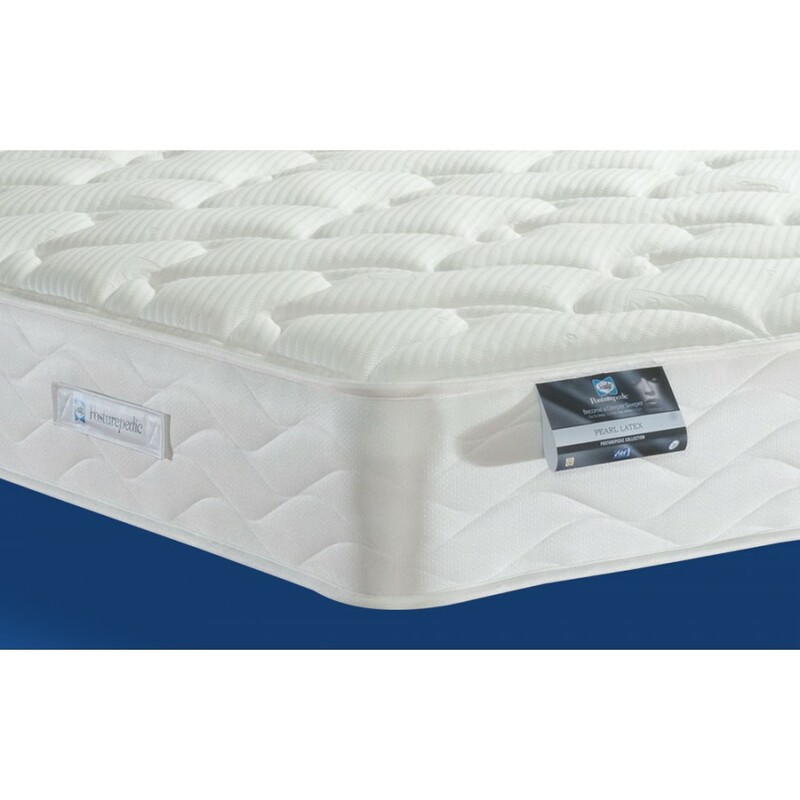 While the Sealy spring system offers comfort with excellent support, the adaptive technology in this mattress helps to naturally support your body and distribute weight away from the heaviest parts of your body. Together with latex that is almost a fully natural latex layer, the Sealy Pearl Latex will help to reduce aches and pains and give you a sumptuous place to rest and relax. Sealy Pearl Latex mattress is wrapped with Sealy's Edge Guard ensuring full edge to edge support for greater durability and stability while you sleep. The Pearl Latex correctly aids spinal alignment in it natural shape, while eco-friendly tencel fibres combined with a micro-quilted cover will help keep you cool and dry, aiding a comfortable, rejuvenating sleep. The Pearl Latex also has hypo-allergenic properties with Sealy Smart fibres, and is endorsed by Allergy UK for the reduction of house mites. This mattress is non turn, simply rotate. 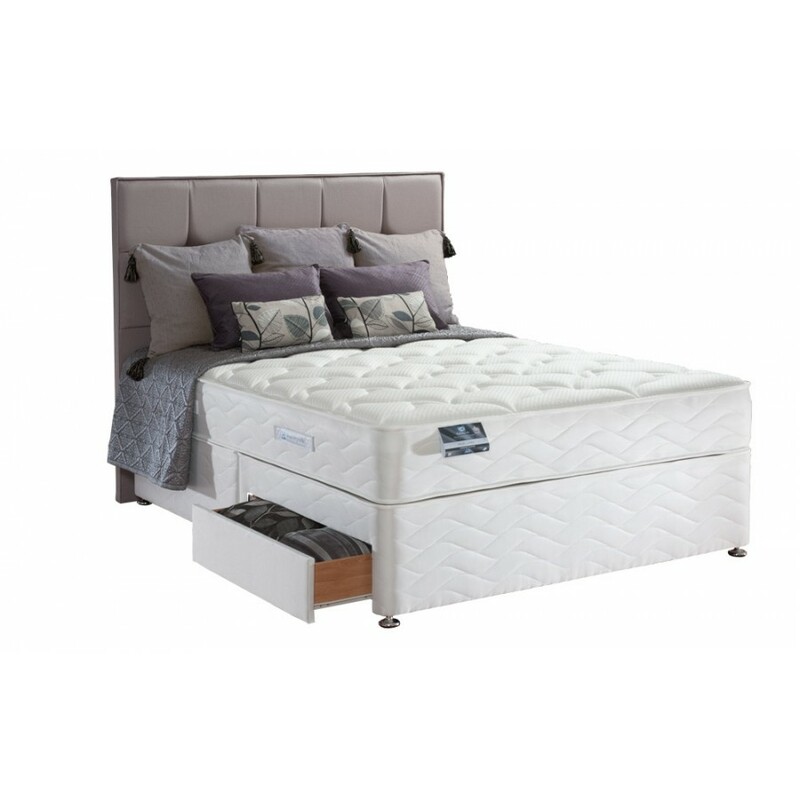 • Mattress depth: 28cm (approx) • Mattress Firmness: Medium ***Please Note*** The 2 drawers are positioned 1 on each side, at the bottom sides of base, Pictures are for Illustration purposes only! If you require both drawers on the same side of the base, contact us for details.